Available in two different materials with a polyboot end. Traditional 1-1/2" Manila Rope is twisted from 3 strands of Grade A manila and offers superior perspiration absorption. 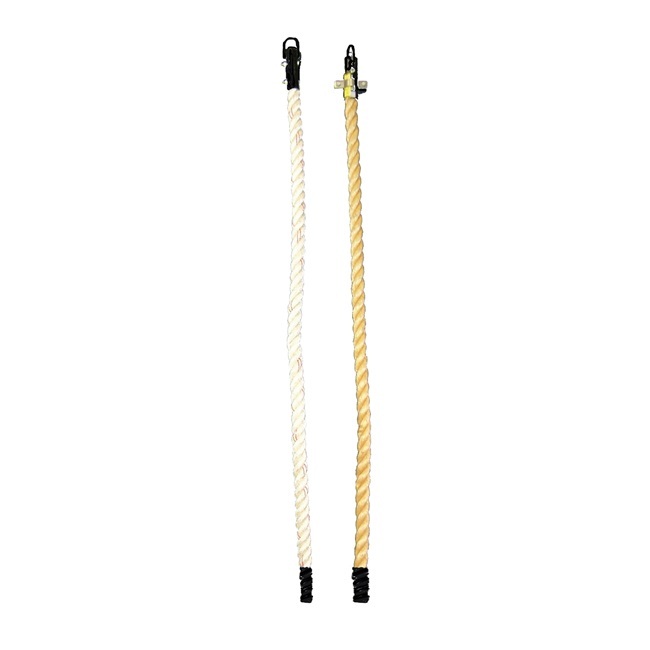 The 1-1/2" PolyPlus Rope has a polypro core, covered witha soft, durable polyester outside, similar to cotton. Stocked in standard 18' lengths, custom lengths available.